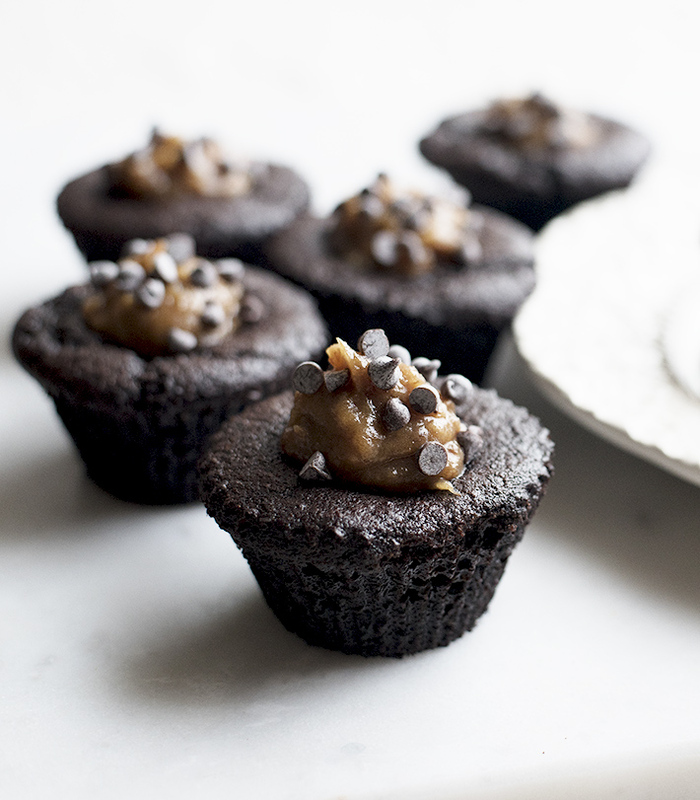 Chocolatey, fluffy muffins filled with silky smooth salted caramel?!?! Ok, these are a huge winner over here! 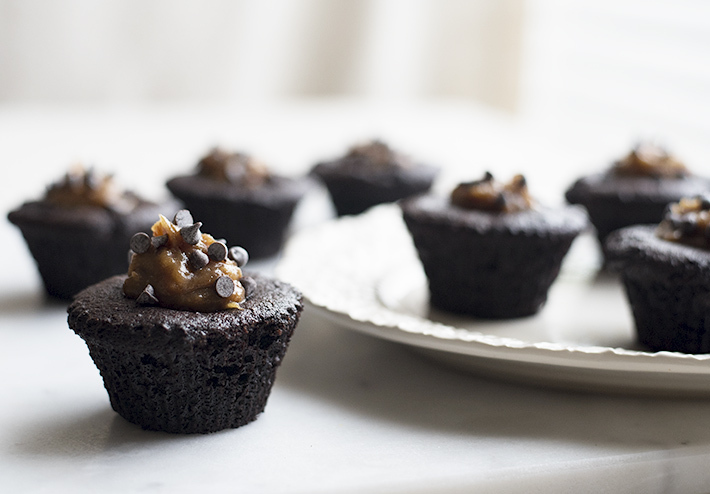 Since the muffins aren't overly sweet, the tasty salted caramel filling is a perfect edition to this treat. Choose gluten-free oat flour for a completely gluten-free recipe. 2. Whisk together the first 4 ingredients until smooth. Add the remainder of muffin ingredients to wet ingredients and stir until well combined. 3. Evenly divide muffin batter among 8 cupcake liners. 4. Bake in the oven for 22-26 minutes, or until center is cooked. Let cool. 5. 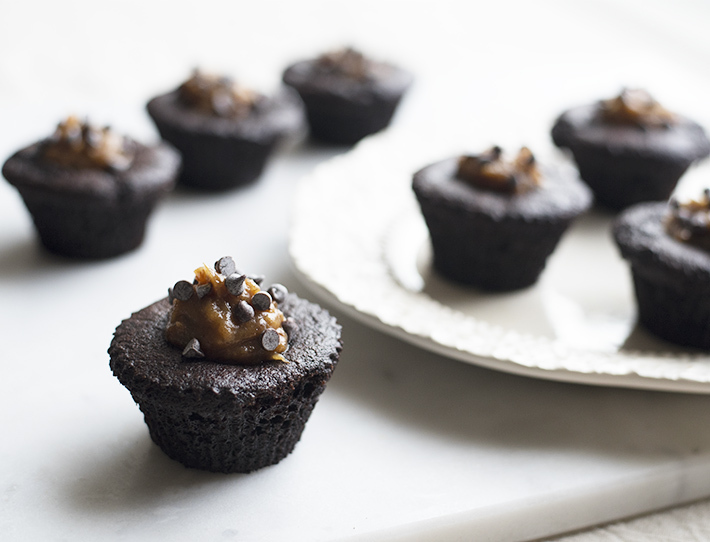 To make the salted caramel, combine all filling ingredients in a small saucepan over low to medium heat. Heat for 15 minutes, stirring occasionally. 6. Pour filling ingredients in a food processor and blend until smooth. 7. 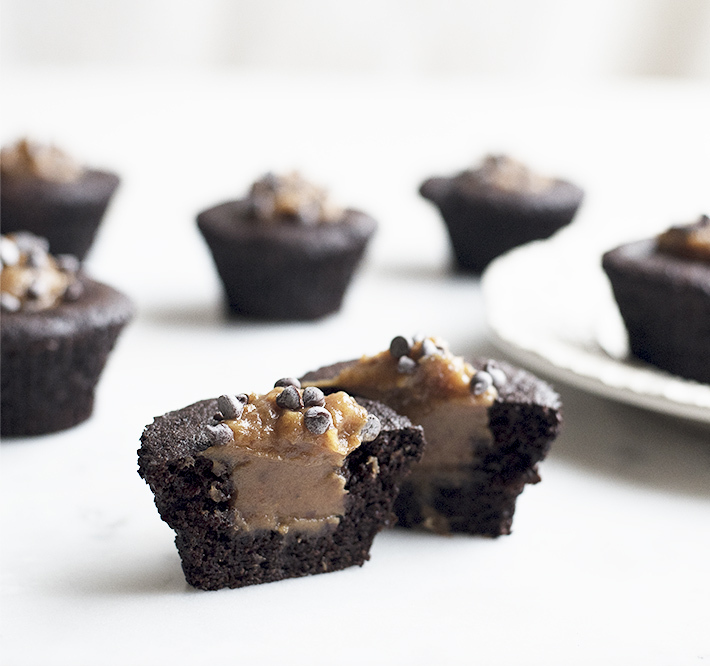 When muffins are cooled, remove center of each muffin and fill with salted caramel filling. Serve and enjoy! 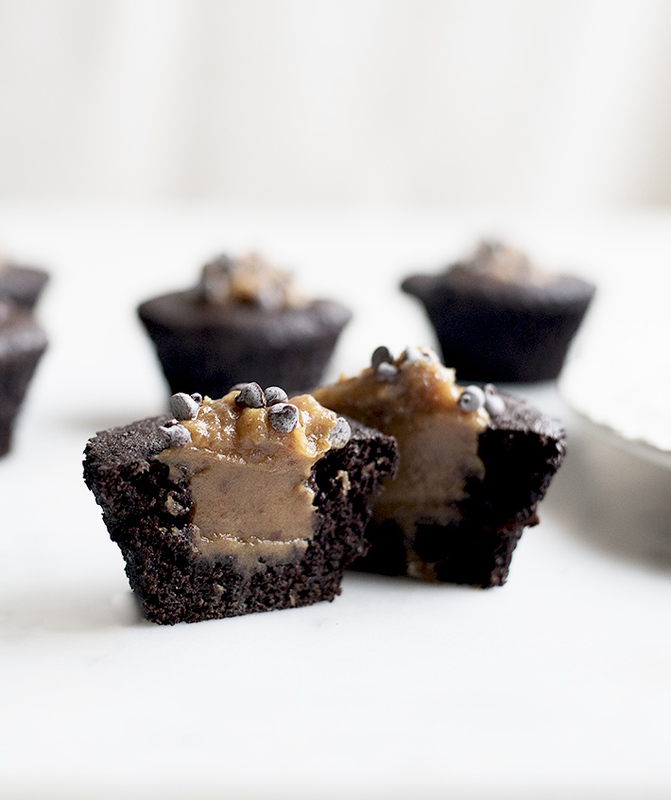 These are smaller than I expected but they work nicely cupcake liners well in these. Easy to remove the cake and it holds shape. I find that the cupcakes are moister as opposed to using paper liners. They are dishwasher safe and small enough to store in a really small space. I expect these to last quite a long time.